Cash for Cars in South Dakota - We Buy Cars Fast! Here at CarBrain, we have you covered! We are the smart way to sell your car. We’ve used our decades of experience in the car business to develop an interactive price engine. It’s designed to make offers on most cars in just 90 seconds! We’ll even tow your car for FREE and deliver the payment to your hands in just 24 to 48 hours! Get started today to sell your car the smart way. Just click here. CarBrain will buy your car in most areas of South Dakota including Sioux Falls, Rapid City, Pine Ridge Indian Reservations, and other cities near you! Our dedicated team of buyers has over 30 years of experience in the car business and we’ve developed a state-of-the-art pricing engine! Most cars get offers in just 90 seconds, and we’ll tow it for free in just 24 to 48 hours. If you’re ready to sell your car today, click here. Where Can I Sell My Car In South Dakota? Just because South Dakota is in the top 10 least populated states doesn't mean your car will avoid traffic accidents. And it's bound to have mechanical issues at some point. At the end of the day a car is a necessity. Whether it's been wrecked or totaled from an accident or has mechanical issues, that car must be sold. Unfortunately, local buyers in the business today make it a very difficult. They use all sorts of shady sales tactics just to get that car off your hands for as cheap as possible. CarBrain is proud to be the smart way to sell your car! 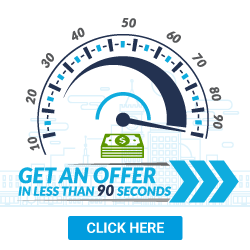 We will make you a haggle-free online offer in just 90 seconds! That sounds much better than waiting around for some stranger to come see your car. They’ll waste your time with back and forth haggling and a low-ball offer. Car dealerships may seem like a great option but it’s not necessarily true! Most car dealerships won't buy your car unless you buy one of theirs. They also have all types of hidden fees and dealer add-ons that can increase your final price. And if you don't barter with them, you won't get a fair offer for your car. Luckily, CarBrain has you covered! 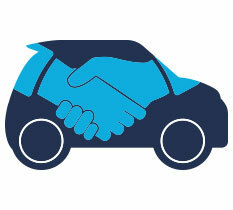 We’ll give you a fast and fair online offer that's haggle-free, and you won't have to buy another car. Here at CarBrain, all our offers are unique! We know that no car is damaged the same and neither is an offer from us. Unlike scrap and junkyards that just want to purchase your car for its scrap metal value, CarBrain looks at all the details - even your premium options like leather or navigation. Bottom line: if you're ready to turn that unwanted or less-than-perfect car into fast and easy cash, then look no further. CarBrain is the smart way to sell your car. Don't wait around and waste your time with a buyer whose interest is just for themselves. Our easy step-by-step process will get you a fair online offer for your car. To get started is simple. Just click here. What Type Of Cars Do You Buy In South Dakota? Selling a car isn't an easy task, especially if the car is in less than perfect condition. Finding a buyer that wants your specific car could take a while since every buyer is looking for something different. Some only buy used cars with no issues while others might only buy cars that are damaged beyond repair. Most buyers do not want to get involved with these types of vehicles because they can be expensive to repair. Whether your vehicle has suffered from any mechanical issues, collision damage, rust, flood, or even theft, the repairs can cost you hundreds or even thousands of dollars. That's a significant amount of hard-earned cash that you won't be getting back when you sell it. CarBrain will buy your car! We specialize in buying cars that are in less-than-perfect condition. Through our intelligent and interactive CarBrain price engine, you can enter your vehicle information with all the damage details and we will make you a guaranteed cash offer! The process can take just 90 seconds! Give it a spin - just click here to submit your car now! We know you want the best cash offer for your car. It can take weeks or months to sell a car, especially if it's damaged. No buyer wants to invest into a vehicle that they already know has issues. And, most of the time, you don't know what it's going to cost to fix your car unless you get a few estimates. That can be a dangerous drive if your car isn't roadworthy, or it can cost hundreds of dollars in towing. Most importantly, it wastes your time. Time - just like the money you will be spending on this damaged car - is something you won't get back. Luckily, not only is CarBrain the smart way to sell your car, but it’s the fast way! With most of the cars receiving an almost instant offer, we can pick up your vehicle within just 24 to 48 hours after we have agreed on an offer. See for it yourself - just submit your vehicle here! Submit your vehicle with as much accurate information as possible, Most of our vehicles receive an instant offer and other unique vehicles might need some additional information so please have some pictures and a VIN number ready if needed. Rest assured you will receive a top market cash offer at the end of our process. Awesome you got the offer! And you want to move forward and get paid. Just provide us with some proof of ownership and make sure to have your title ready and we will assist you in getting your pick up scheduled and ready. After you have scheduled a pick up time and date with the tow company. You will meet the driver at the vehicle's location and upon pick up the driver will deliver your payment,it’s that simple! Why would you sell to CarBrain when there is so much competition? Well, the question should be “why not sell to CarBrain?” With nearly instant offers on most makes and models and free towing, you’ll see why we’ve purchased thousands of cars. We provide you the with the best no haggle cash offer in today’s market. We work quick, once you have proved ownership we can pick up your car within 24-48 hours. We will tow your vehicle for free to any of our South Dakota locations. What should you know before selling to a junkyard or private buyers in SD?